Offering a classical style, our vertical sliding sash windows in Margate and Kent enable you to recreate traditional looks while still providing you with all the benefits of modern uPVC technology. The wonderful and time-honoured period features of your home can be upheld with a long lasting and low maintenance replica design. For characterful and charming windows, please have a look at the uPVC sliding sash windows from Omega. These exceptionally beautiful windows from Rehau are available to homeowners in Margate, Kent, Canterbury, Herne Bay, Ramsgate, Chestfield, Faversham, Ashford and Kennington and will add personality to any home. Our uPVC Sliding Sash Windows will bring an excellent level of thermal efficiency to your Margate or Kent home. Our double glazed uPVC Sliding Sash Windows offer up to three times more insulation than standard double glazed sliding sash windows, making our windows some of the most thermally efficient on the market. Our windows will improve your home’s thermal insulation, increase light transmittance and maximise solar gain. All of these will help retain heat in your Margate home for longer, even in the coldest winter months. This will reduce your reliance on central heating, which will not only save you money on energy bills but reduce the carbon footprint of your home. Condensation will also be a thing of the past through the installation of our A-rated sliding sash windows. The windows will be more airtight and the inside pane of the glass will remain warmer for longer, so you won’t have to worry about wiping your windows to see what the weather is doing outside. 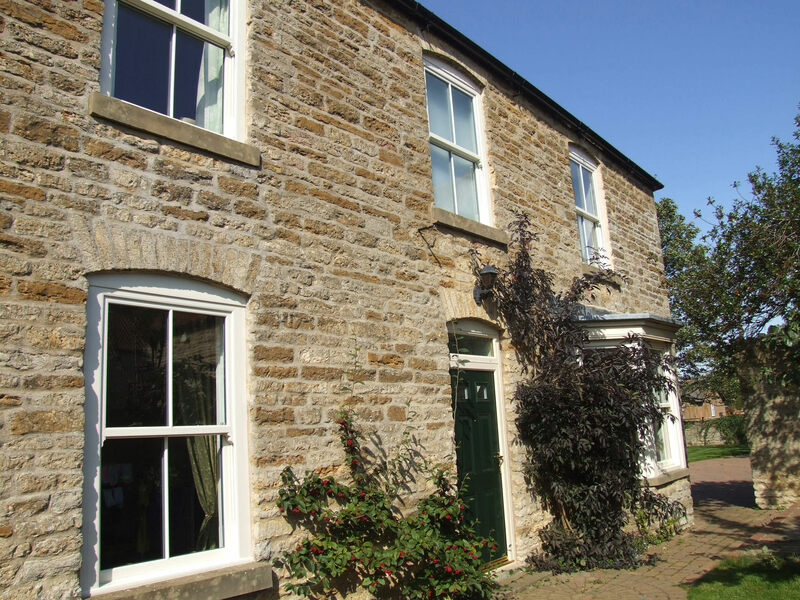 Our Rehau uPVC sash windows are the perfect choice for homeowners who would prefer a traditional appearance for their property. Our uPVC vertical sliding sash window is created using the very best hardware, security and finishes. We provide you with a window profile so exact, that it is almost impossible to differentiate between it and timber replacements. Should you have a more modern home, these charming windows can be used to add character, unmatched by other styles. We have manufactured our sliding sash windows to offer only the best security for your Margate or Kent home. Our windows have been manufactured in line with recommendations from the Association of Chief Police Officers (ACPO) and comply with the very latest European security standards, including BS7950 and PAS24. Our windows have been created to form a protective deterrent against opportunist thieves, so you can sleep peacefully in the knowledge that your home and your family are protected. We fit out windows with shoot-bolts with espagnolette locking as standard, so the windows are secured in various locking points, making them impossible to open. The security internally glazed windows have been designed so that they cannot be removed from the outside of the home. If your window is going in a vulnerable location, laminated glass can be used, making the units hard for a burglar to break through. Despite already offering a high-level of security, you can secure your Kent home even further. Claw locks can be fitted on the hinge side of your window and secured into steel reinforcing. This makes our windows comply with the Secured by Design security standard, the very best! Our uPVC sash windows utilise innovative design to enable them to slide either vertically downwards or upwards. This intelligent opening function enhances their practicality. It gives a superior performance over traditionally manufactured wooden windows, where the only options are double hung or single hand. In addition to this, these stunning windows have an advanced tilting mechanism enabling easy access as well as effective ventilation and simple cleaning. 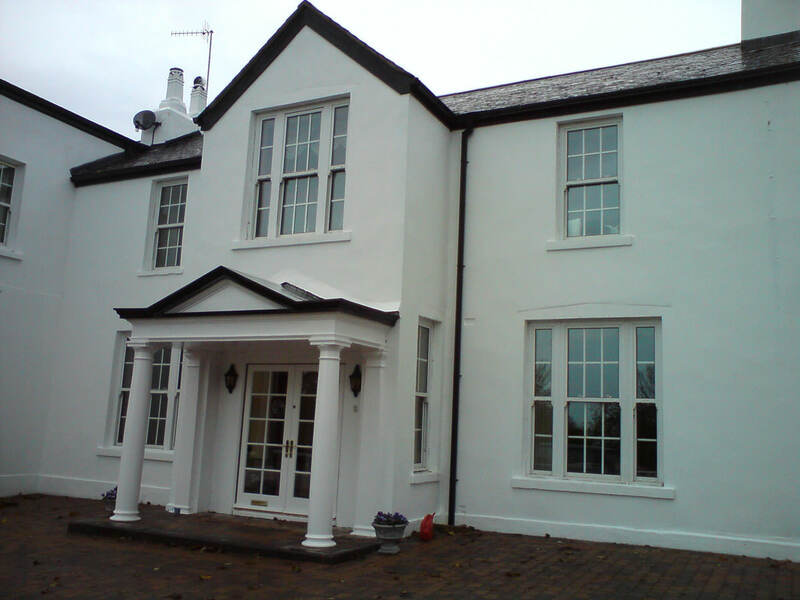 We supply vertical sliding sash windows by industry leading Spectus. These high-end profiles offer the flawless combination of authentic style, beautiful finishing and exceptional efficiency. All this adds up to highly secure and precision engineered uPVC sash windows, created to offer amazing durability, excellent performances and effortless operation. The cutting edge uPVC technology eliminates all the traditional issues associated with wooden sash windows, including rotting, warping and twisting. 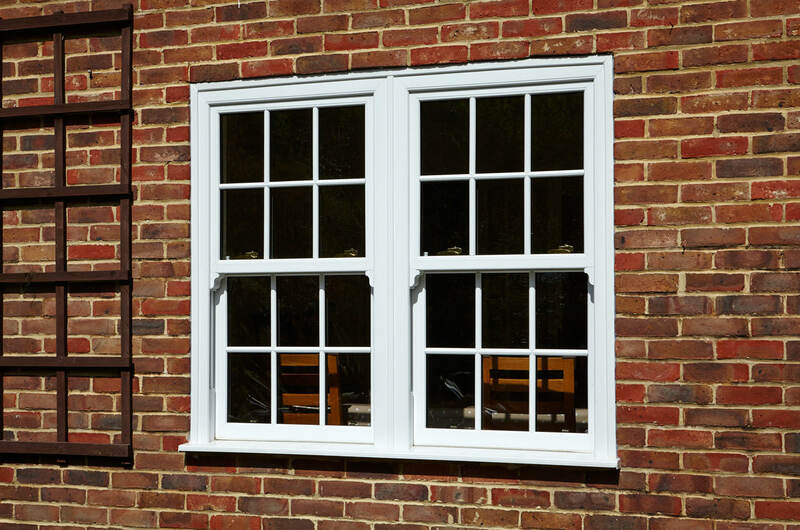 With our uPVC sash windows, the replication of period windows is further enhanced by design features such as the deep bottom sash rail, Georgian bars and decorative horns. You can also opt for replica hardware in a choice of finishes. To continue this look of traditional character sash windows, our windows are available in an extensive choice of realistic woodgrain foils and colours. For the ultimate bespoke finish, you can choose to have dual colours, giving you different finishes inside and outside. If you’ve been inspired to update your Margate home with the latest uPVC Sliding Sash Windows then reach out to our team today. You can call us on 01843 299 662or fill out our online contact form. For those who already know what colour uPVC Sliding Sash window they want, then fill out our online quotation engine. This will give you a bespoke estimate of how much our services will cost with no obligation to book.